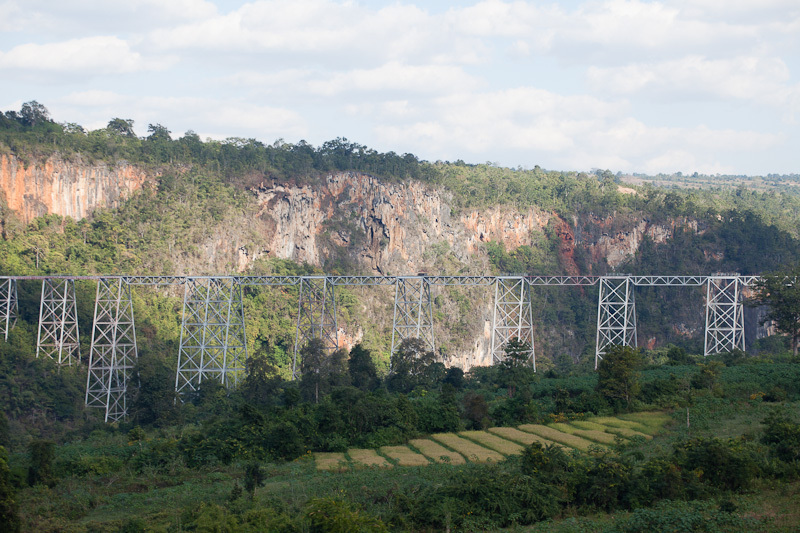 Northern Myanmar is one of the lesser visited parts of Myanmar, and I barely scratched the southern tip, but scratched I did, and one of the highlights was the journey through the Gokteik Viaduct. The Gokteik Viaduct is a railway bridge/trestle about 100km north of Mandalay, and at the time of its completed construction (1901), the highest/biggest in the world. It is currently still Myanmar's biggest/highest at over 100m high and almost 700m long. Creaking slowly and loudly over this metallic wonder is the train plying between Mandalay and Lashio. However, I didn't venture till Lashio (from where you could then go further north into China), but visited Hsipaw instead, which is a delightfully laidback Shan state town. 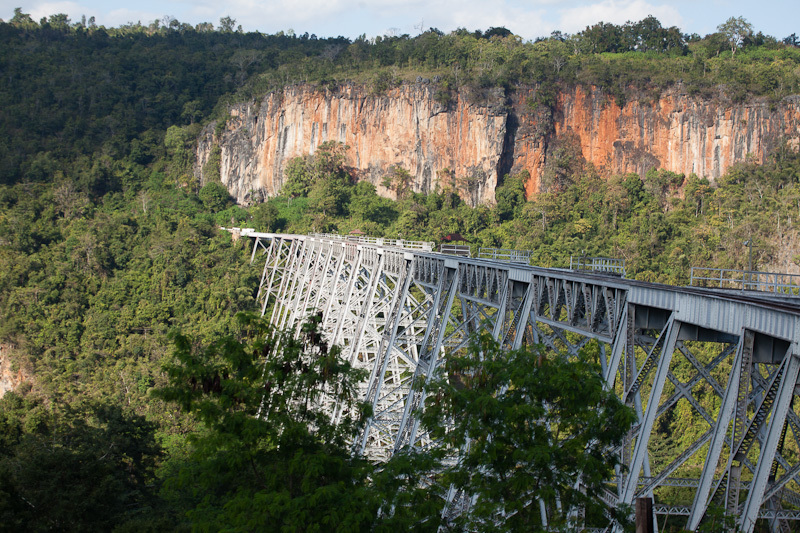 The north-bound train from Mandalay starts at 4am, so I took the bus instead to Hsipaw (and enjoyed a couple of days there) and experienced the viaduct via the south-bound train, which was scheduled to roll into Hsipaw at 9am. Trains in Myanmar are notoriously slow and unpunctual, though, and mine arrived nonchalantly at 11am. It was also the bounciest and rockiest train ride I had in my life. The sway and bounce were of such magnitudes, it would probably register a 9 on the Richter scale. And it would be another 4+ hours before reaching the Gokteik Viaduct. The stationmaster at Hsipaw station was certainly familiar with our tourists needs, and had assigned seats for tourists on the right side of the train for better viewing as we cross the viaduct (remember this is the southbound train). And there were no worries about missing the views - as the train nears the crossing, there would a certain bustle in the carriage as the train conductor, if not the locals, would arouse us into position. The train would rumble straight into a tunnel right into the mountain, and slowly emerge onto the metal monstrosity. Then, slowly and laboriously, with curioius heads all sticking out of the train windows, the train crawled across the bridge. 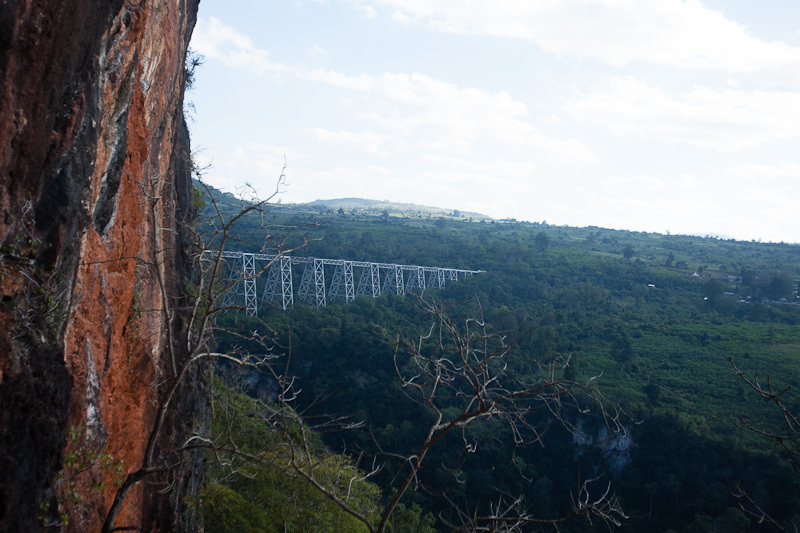 The bridge looked solid enough, but the sprawling lush green gorge below does quicken your heart rate a notch or two. 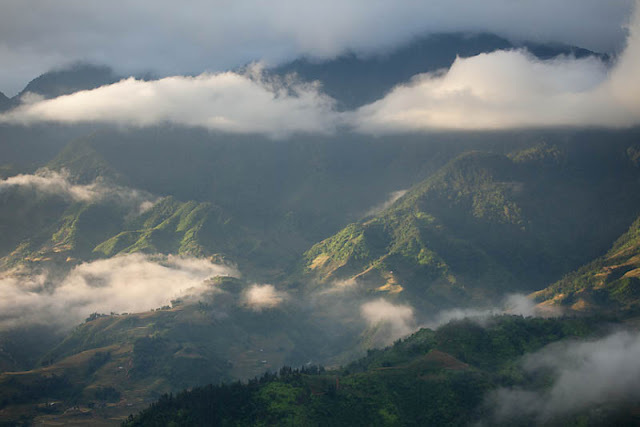 But savour the views and spectable, for after the crossing, it would be another 3-4 hours to the next stop of interest - Pyin Oo Lwin. 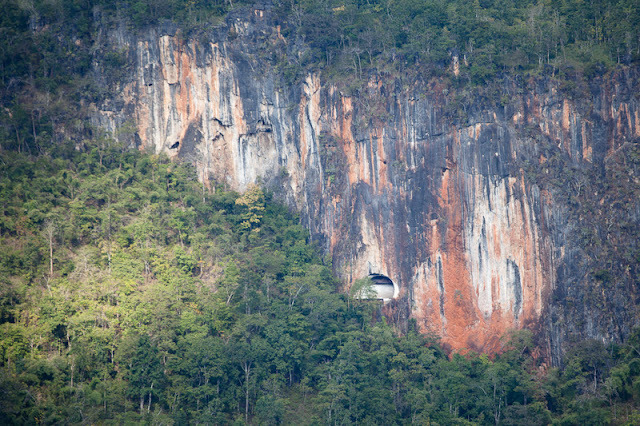 The tunnel in the mountain! 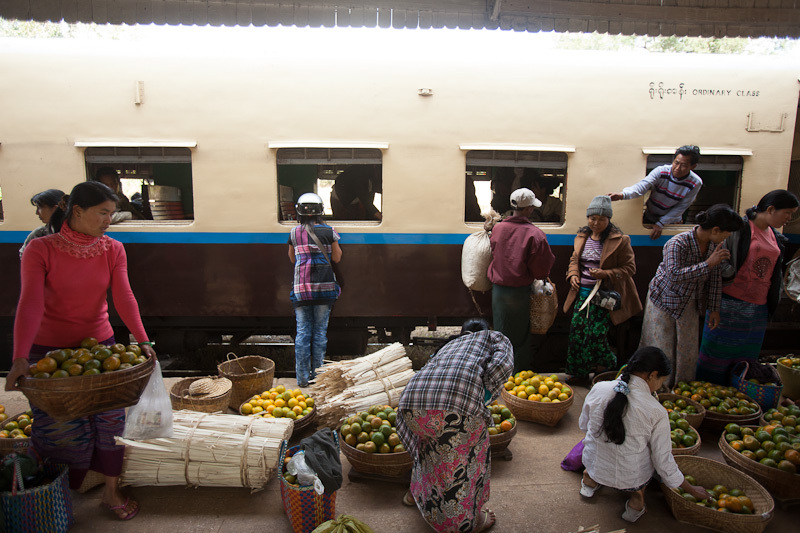 While the train eventually does get into Mandalay, it also makes a ridiculously long stop at Pyin Oo Lwin, a hill resort town that many would recommend a night or two. So the wise would often alight at Pyin Oo Lwin where there would be many pickups going to Mandalay. The difference would be reaching Mandalay at 7-8pm vs midnight if continuing on the train. From Hsipaw to Pyin Oo Lwin, an ordinary class seat (a wooden bench) costs US$3 while a upper class seat (cushioned seat) costs US$6. The train looked as if it had not had any maintenance since it started operating, but this is easily forgotten once you get to the bridge (I hope!). 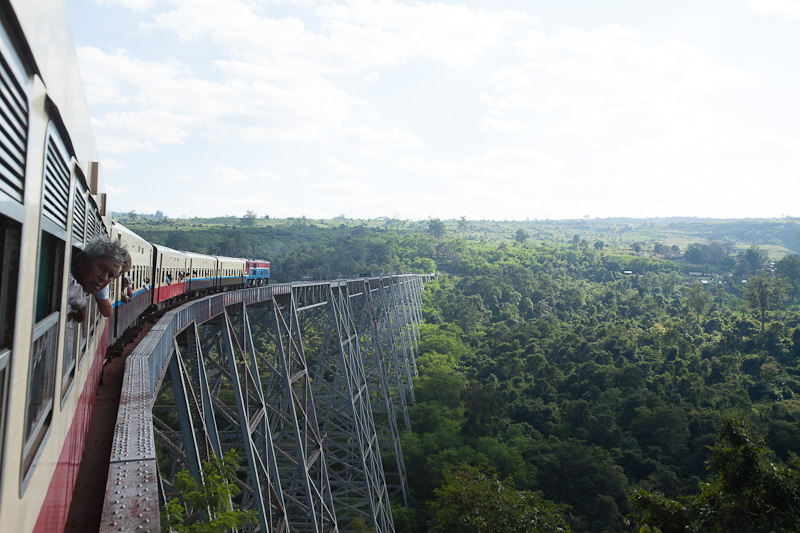 If you want to experience only one train ride in Myanmar, this would be the best bet! Apparently, the train is also the mail train and he is the mail man!! October 22 is a good day to be in Kyoto. 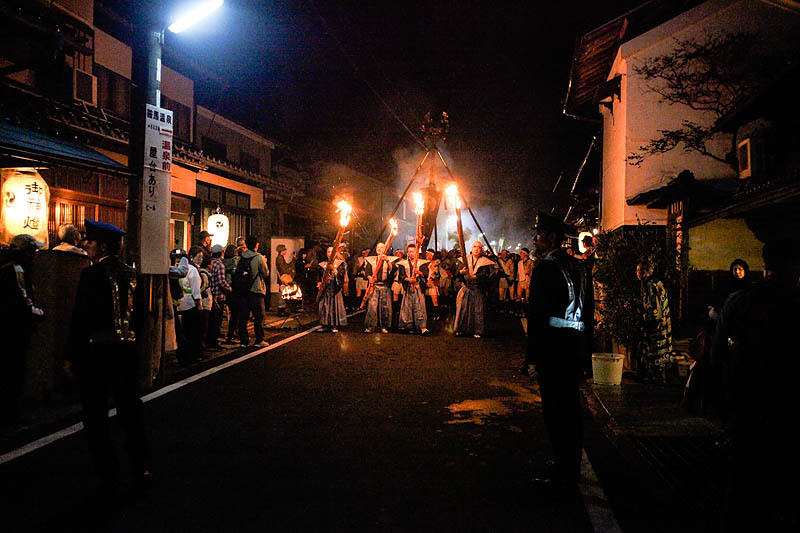 Aside from the famous Jidai Festival, there is another interesting festival held on the same day - the Kurama Fire Festival (Kurama Hi Matsuri). 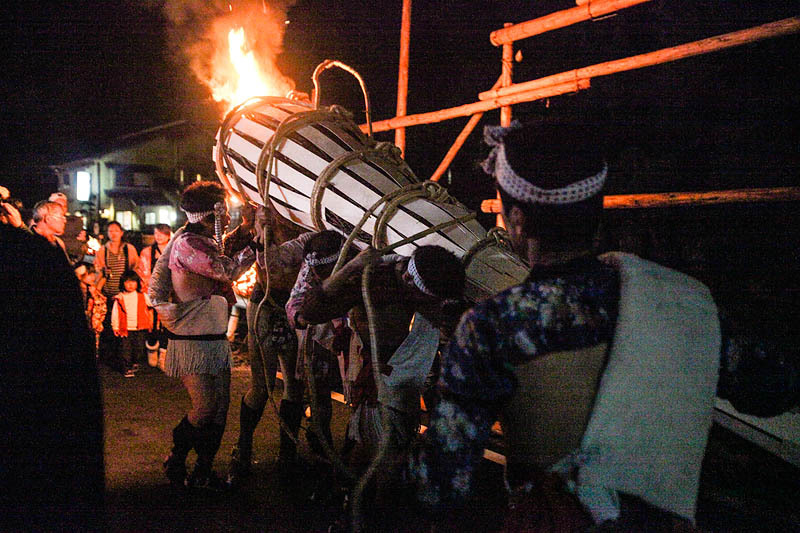 While the Jidai Festival is held during the day, Kurama Fire Festival happens in the evening, so you get a full day of activities! The Fire Festival however, is held in the village of Kurama, 30-45 min away from Kyoto by train. 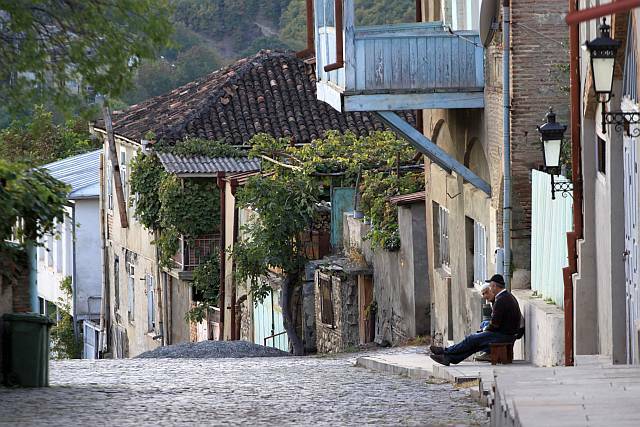 The village itself, is a delightful "traditional wooden houses" village, and makes for a good visit on its own. The festival is a ritual where huge pine torches are used to guide spirits between the realm of the living and the dead. It begins at 6pm where the houses in the village would light up with watch fires at their entrances. 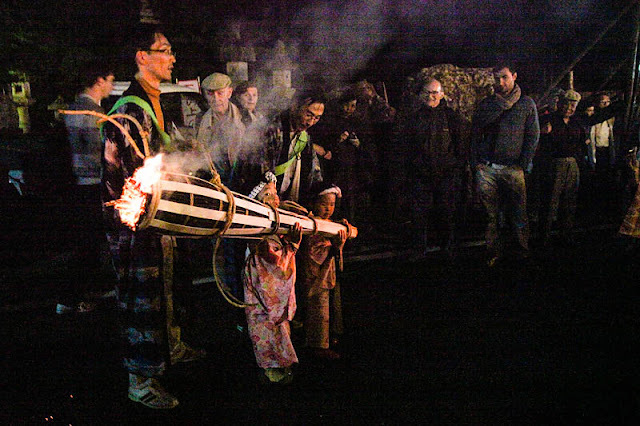 Then the local residents would get their young children to bear small pine torches and conduct a procession ceremony through the village chanting "Sai rei ya, Sai ryou" (which means "festival, good festival!"). Subsequently, the men (in traditional costume of loincloth and a strange half-shirt) would do similar, with huge pine torches, some weighing 100kg! Two portable shrines are then paraded through the streets and eventually, enshrined at a place called "Otabisho". On October 23, another ceremony takes place where these portable shrines are then taken down and enshrined at the Yuki jinja shrine. The adults carry a much bigger torch!! A few notes and information to people (esp photographers) making a trip to see the festival. - Aside from the fires, there are very little other lighting. So generally, there will be big differences in lighting in your scenes. - Due to the crowds, the whole site is heavily policed with very restricted lanes for tourists to move in. You will be literally herded in a "path" designated for tourists. 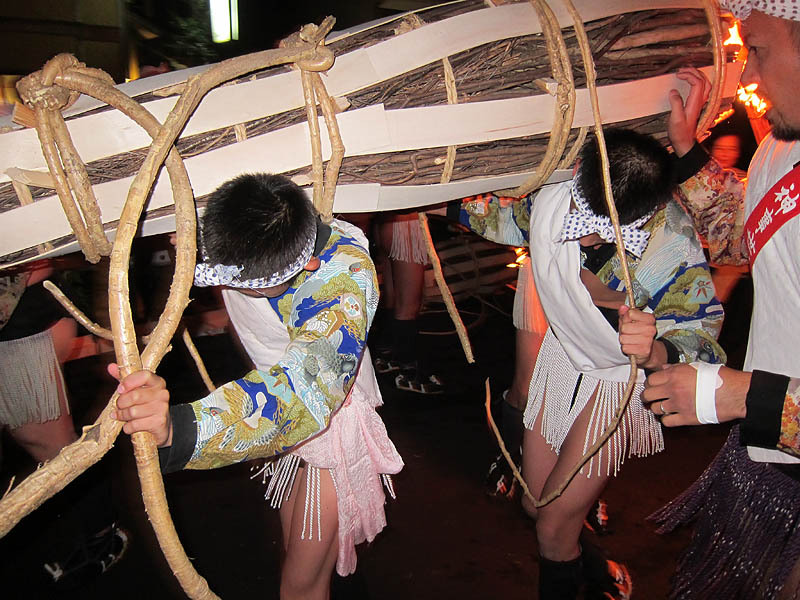 - This festival is a traditional local festival - it is not something designed for tourists. So bear that in mind. While you may want to capture a promising frame, respect the people and festival, and not interfere/interrupt the procession. Moreover, it's very chaotic, smoky, and fires burning everywhere, so safety is important. - A tripod is not practical for this festival (esp the limited space) though a monopod may be useful. - There will be ALOT of waiting. Right from the start at Kyoto. At Demachiyanagi station on the Eizan Railway in Kyoto, I arrived at 5pm. The queue was spilling out of the station, and I waited till 6.45pm before I could board the tiny local train to Kurama. The festival runs till 12 midnight, and after 8pm, the frequency of trains back to Kyoto was also reduced. So similarly, I had to wait more than an hour for the train back, boarding my train at 10+pm. - Due to the crowds and the limited space in the village and the designated tourist "lanes", sometimes you could get stuck in the "queues" for 10-20 minutes without moving! 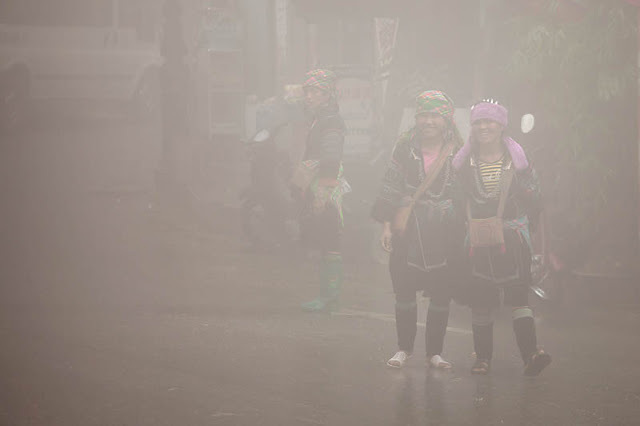 So, if you are very adverse to crowds in smoky environment, or have little patience for waiting, then perhaps you have to think twice about this festival. Other than that, the Kumara Fire Festival is certainly one of the more interesting festivals in Japan! 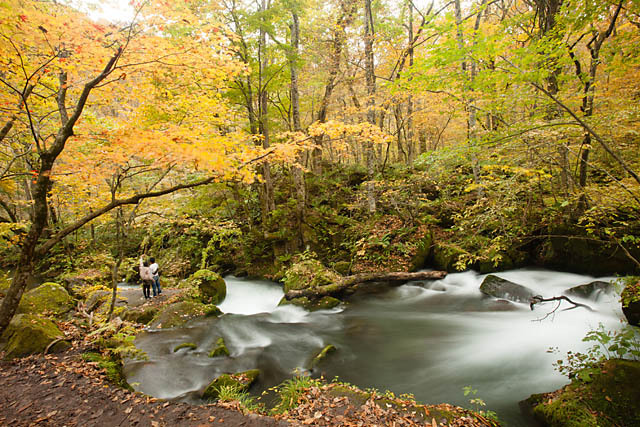 When I was researching my autumn trip to Japan, one of the places that was really popular was Oirase Stream in Tohoku. So I decided to head over to take a look. 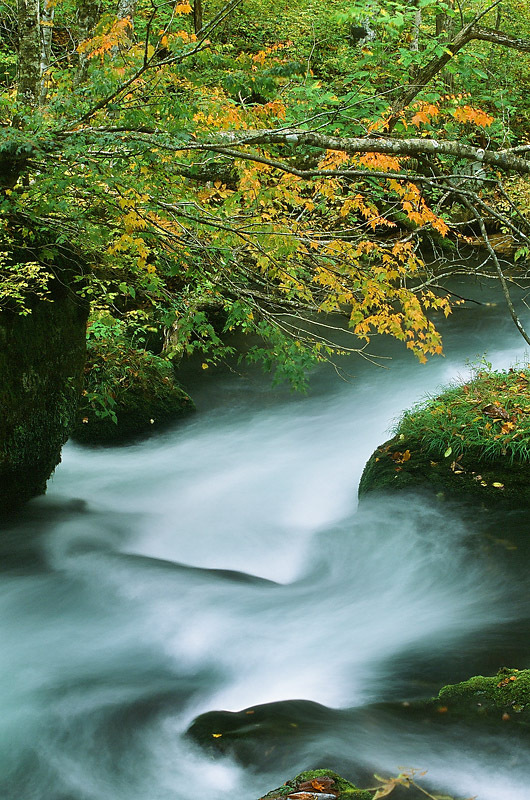 Oirase Stream is a mountain stream in Aomori prefecture, with water flowing from Lake Towada. There is a hiking trail running almost parallel to the stream, but unfortunately, a vehicular road also runs almost beside the hiking trail!! This is also the access road where the major cities of Hachinohe and Aomori connects to Lake Towada, so it can get busy. 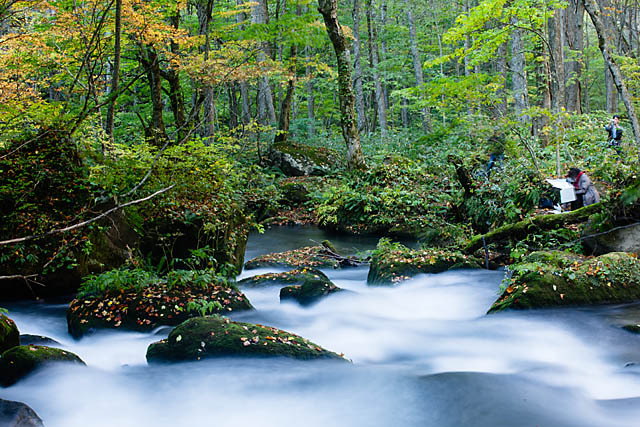 However, it is still well worth an outing, especially if you are a photographer who loves "flowing water among foliage" photos! As it turns out, the foliage in most parts are actually quite thick, such that when you look at the pictures, it's hard to imagine that a road is just 5 metres behind you! 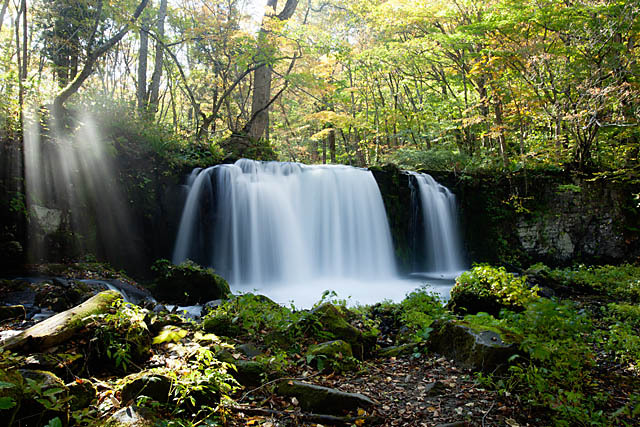 Moreover, with the thick foliage, you could get beautiful sunlight streaming through the trees, and in most cases, provide enough cover so that you could slow down your shutter speed to achieve the silky smooth flowing water effect of the streams and waterfalls. Hard to tell that these scenes are just beside a busy road! 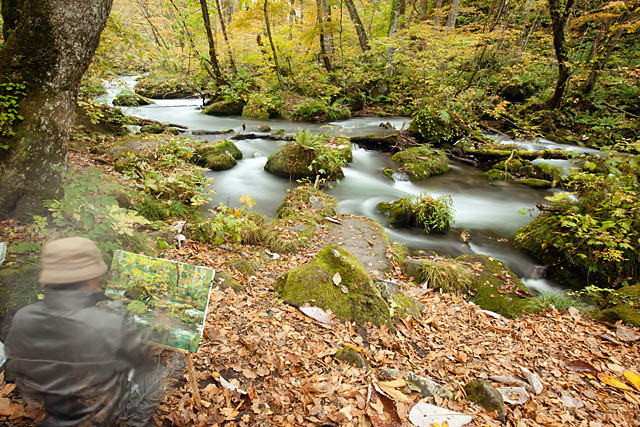 Besides hikers, there are many artists as well! My main gripe as a solo backpacker is the access. Unless you have a vehicle, you will be at the mercy of the public bus schedules. There are buses from Aomori and Hachinohe that goes to Yasumiya (the access town of Lake Towada) that passes through the road beside the trail. There are a number of bus-stops along the way, and hence you can opt to only do partial parts of the trail or all (the whole trail is 9km long). Unfortunately, the last bus back to the city was like 4pm which I felt was way too early. Also, the bus fare is ridiculously expensive - a 1-way fare from Hachinohe to the extreme end of the trail (Nenokuchi) is 2000yen (~us$25)! Nevertheless, the place is very pictureque! (hopefully evident in the photos :p) The best parts of the trail (with flowing water over rocks and foliage) is probably at Ishigedo. For those with enough budget, there is also a hotel at Yakeyama, which is the other end of the hiking trail, so you could have the hiking trail for yourself at later parts in the day (yes, it gets really crowded!). 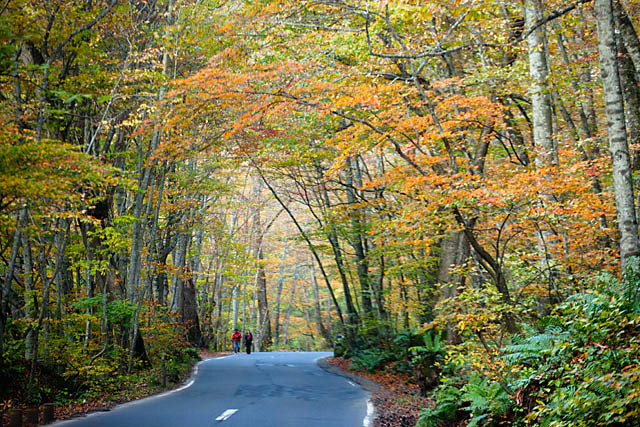 If you drive, you also also base yourself at Lake Towada (Yasumiya). All in all, well worth a trip! 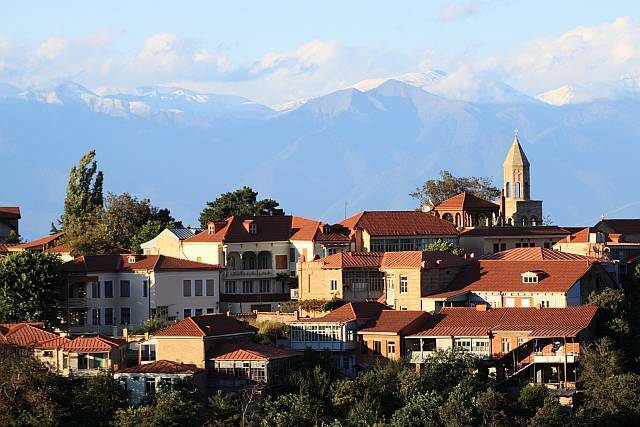 The Kakheti region in eastern Georgia is well-known as a wine producing region, and in fact, some say that it is the cradle of the world's wine production! 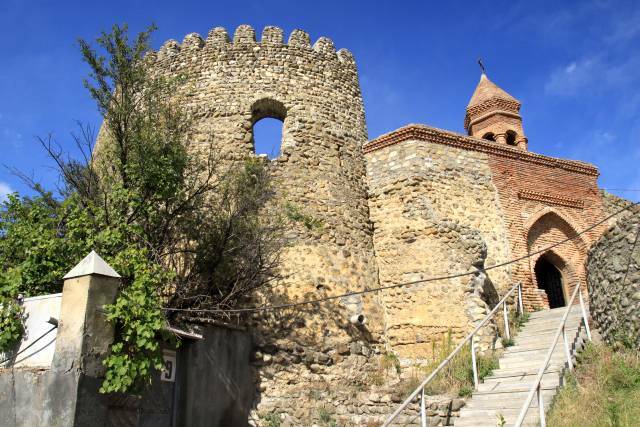 And one of the more popular destinations within the Kakheti region is the hilltop town of Sighnaghi. 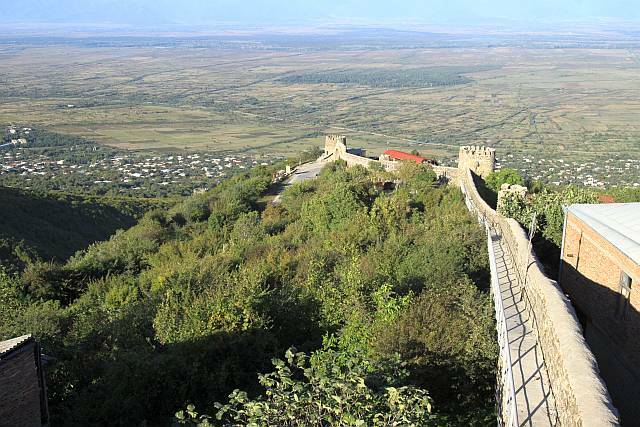 In fact, after some heavy reconstruction efforts from the government, it has become a very popular and important attraction for both locals and foreign tourists alike. And it is hard not to like the small town. 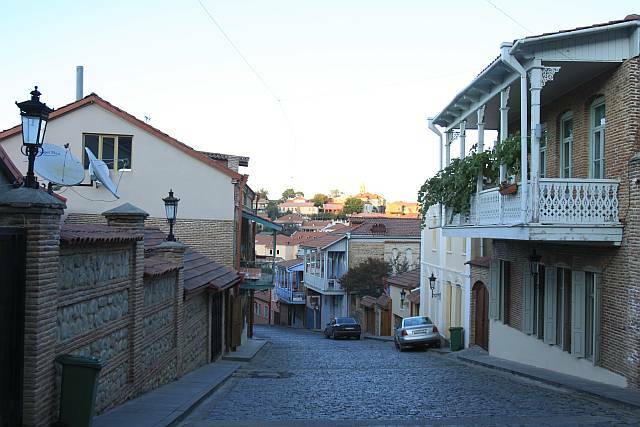 Beautiful houses with ornate balconies built between neat pictureque cobbled streets, and surrounded by breathtaking Caucasus mountain ranges, it was holiday-picture-perfect. Add to it the wonderful Georgian cuisine, complete with its famous wines, all at affordable prices, really, it was one of the best places to relax and unwind. 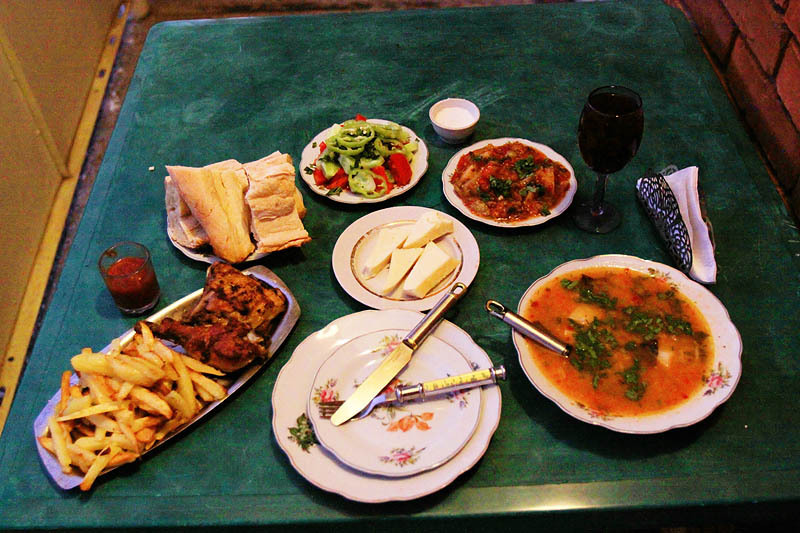 While the town have fancy hotels and restaurants, and even pretty boutique hotels, I stayed in a beautiful family-run guesthouse (Nato & Lado) that suited my budget. Aside from their amazing hospitality, their homecooked dinner with free-flow homemade wine were phenomenal! Truly one of my best stays in Georgia! The touristy town of Sapa in northern Vietnam is a well-known and popular destination. With cheap travel costs, easy and convenient access via train, beautiful landscapes and interesting ethnic tribes, it's certainly formula for mass tourism. 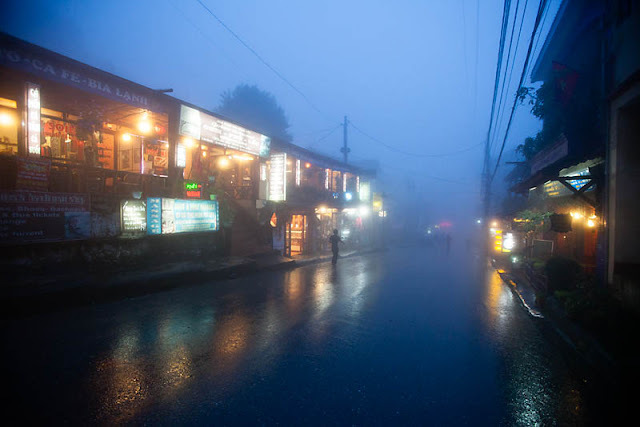 But it was exactly it's popularity that had somewhat kept me from visiting Sapa for a time. Tales of incessant hassling from the ethnic minorities had put me off, and scamming of independent travelers are common. Nevertheless, I finally made a trip, and it turned out to be quite a pleasant experience, especially photography-wise!! While the hassling by the local Hmong ladies are indeed a tad annoying, the charm of the place was hard to deny. I love a good landscape opportunity, and I was not disappointed. September was rice harvesting time in Sapa, and the fields are covered in glorious golden green. But surprisingly, what actually fascinated me was the mists!! I had 2 days of complete misty weather and it gave a different feel to the photos. 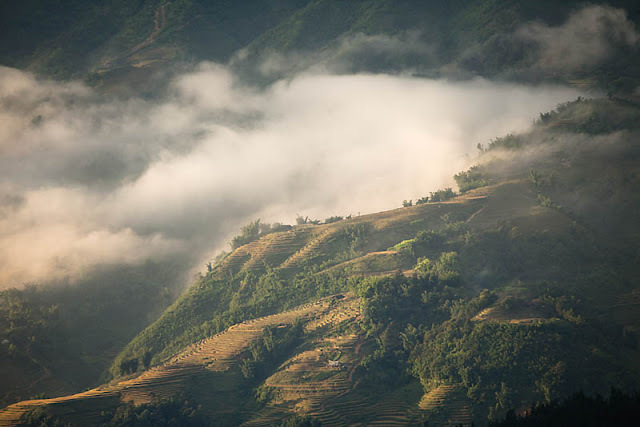 And the biggest surprise was when Sapa revealed glorious sunlight amidst the mysterious mists within a short window of time. It was exciting and truly spectacular. As shown in the timelapse below, towards the end of the video, the land was again shrouded in mists. Thus the tip of the day is, whatever the forecast or outlook is, rise early to try to catch a glimpse of the sunrise. You never know when you would be treated to a show!! 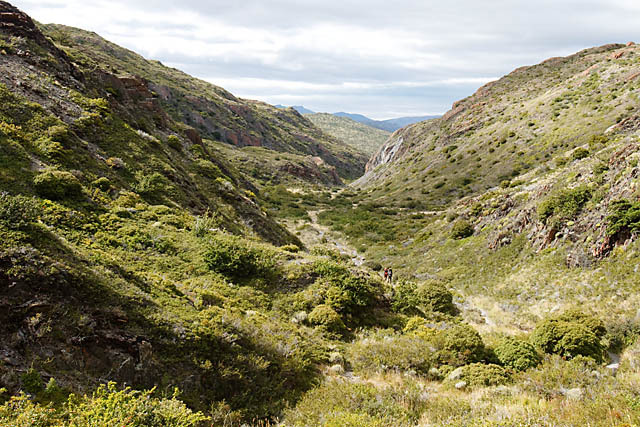 As posted in my last blog entry, Patagonia had been my dream destination for a long time. 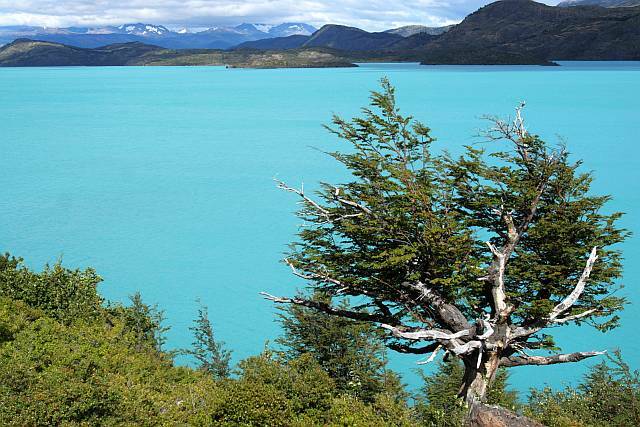 Having fulfilled this dream, I found that my favourite part was in Los Glaciares National Park. 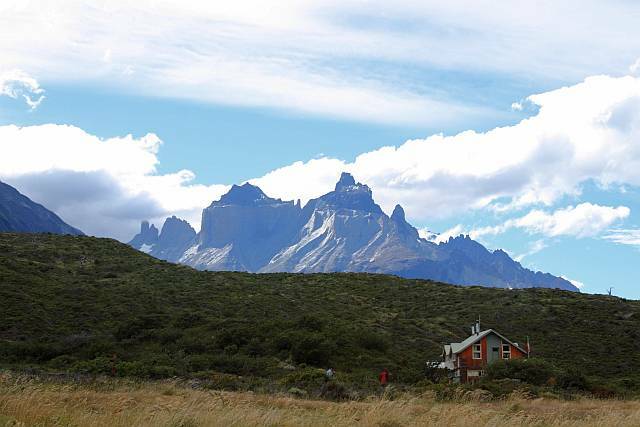 However, the manner in which I realized my dream was most memorable in Torres del Paine National Park in Chile instead. 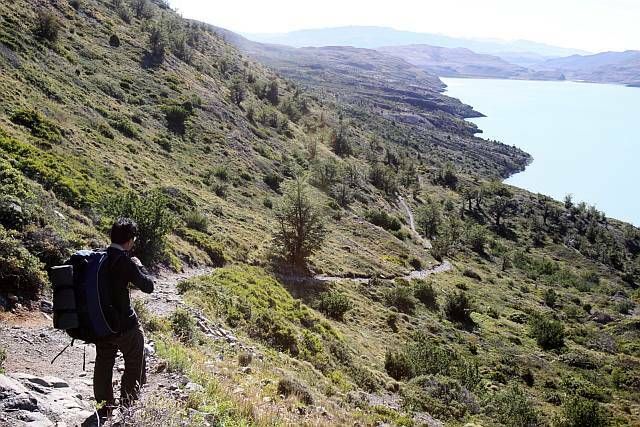 I had attempted the 5-day 'W' trek in Torres del Paine National Park with a friend. It was our first multi-day trek on our own, carrying our own camping gear, and we had little training or preparation. So it came as no surprise that it was very challenging for us. 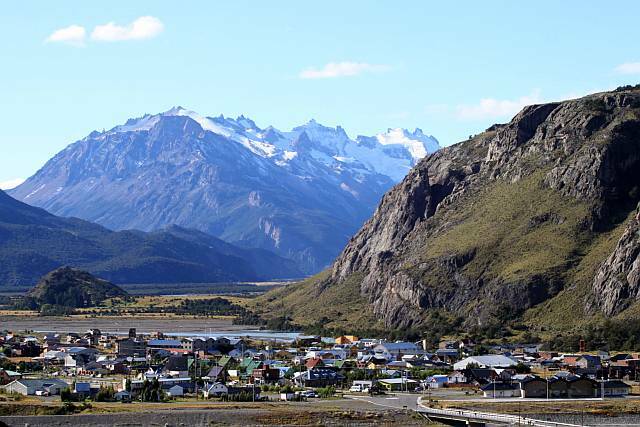 Luckily, there were good information and logistics support in the access town of Puerto Natales. We persevered and stuck to our goal, and the beautiful sceneries along the way pushed us and motivated us right till the end. 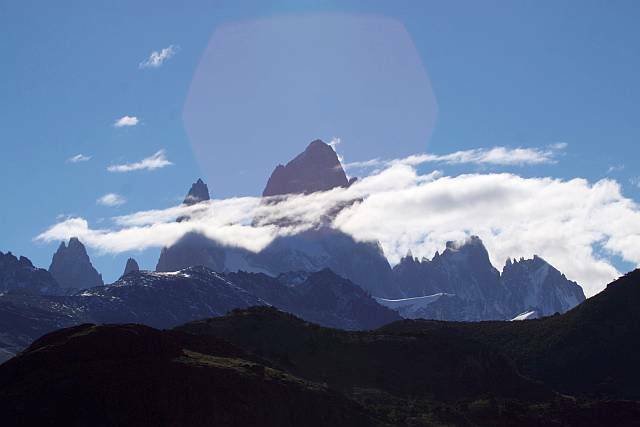 And the sweetest moment was our final day and our final ascent to view the iconic Torres del Paine massif. It was a glorious morning, and the light was stupendous. Thus, the 'completion' of my dream was doubly memorable! Again, words do little to describe the place and my feelings. 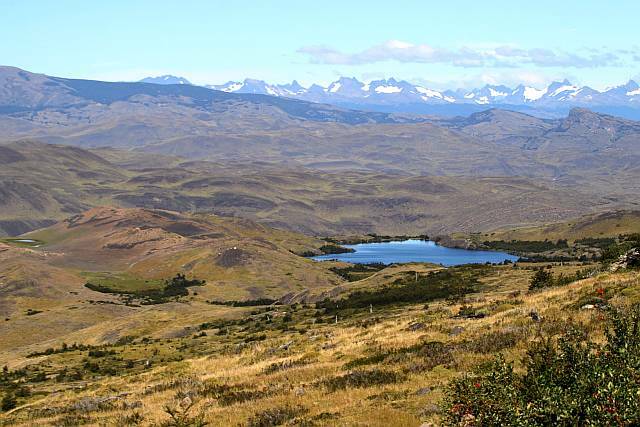 But here's a series of photos that hopefully can show you a glimpse of the beautiful Torres del Paine National Park! 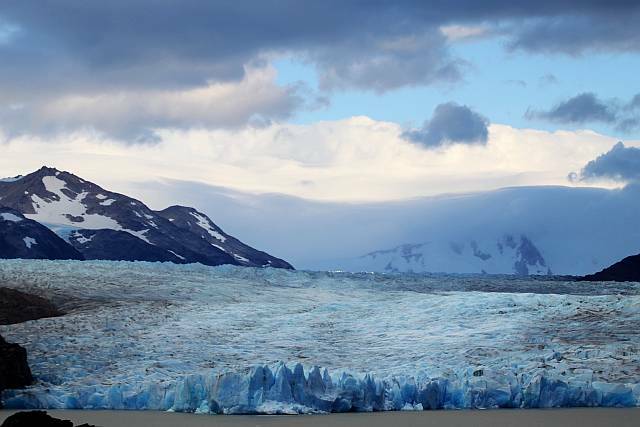 The amazing Glacier Grey, one of the highlights along the 'W' trek! 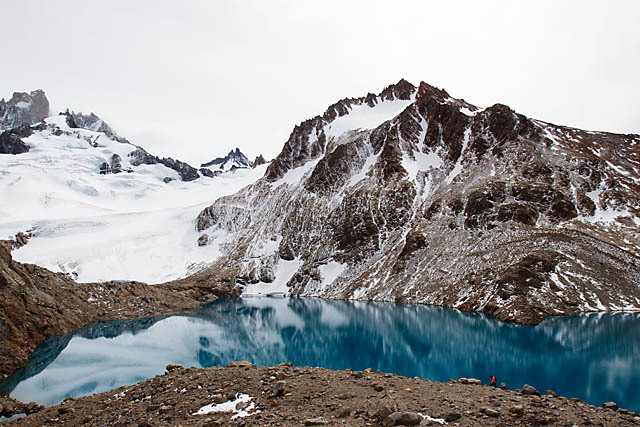 Different parts of the trek offers different terrain and views, but all are stupendous! 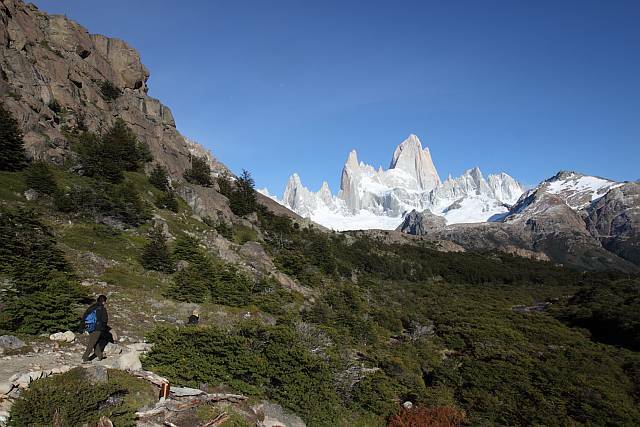 Truly one of the most beautiful places I've been, and a dream destination come true for me, is Patagonia. 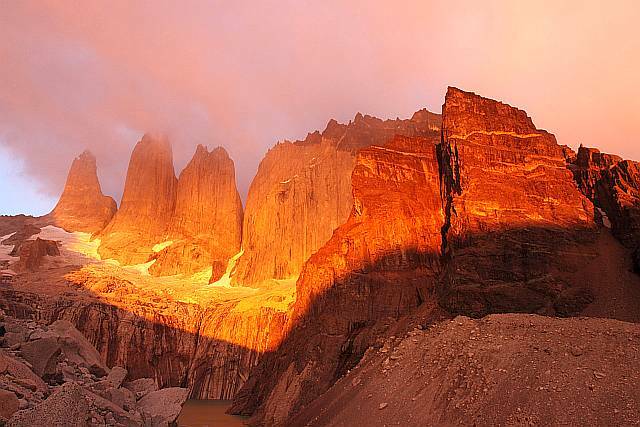 Spanning both Argentina and Chile, the landscapes in the whole region are a photographer's heaven. 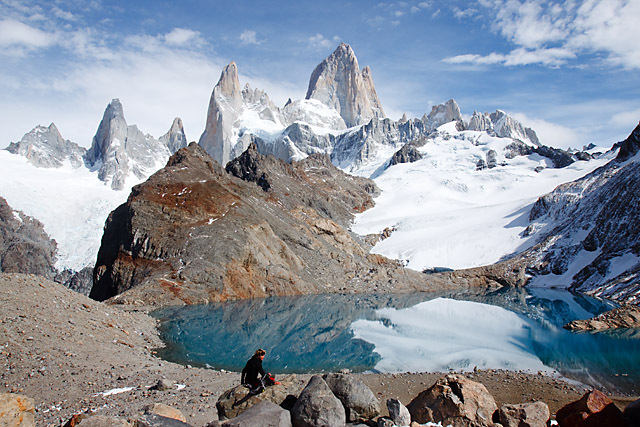 Several National Parks are defined within each country, and the stunning Los Glaciares National Park in Argentina is a top favourite. 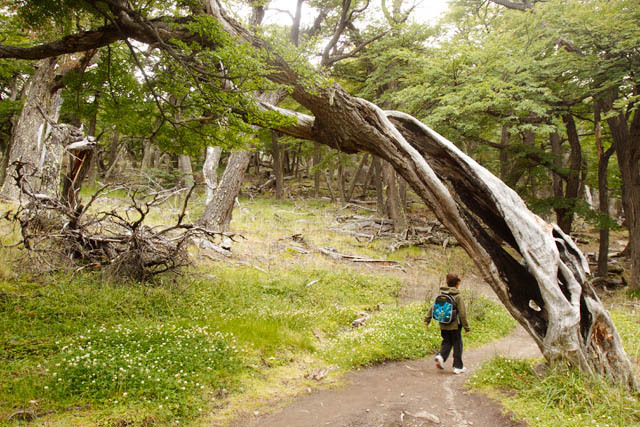 El Chaltén, a village within the park provides convenient access to the wonderful scenery. 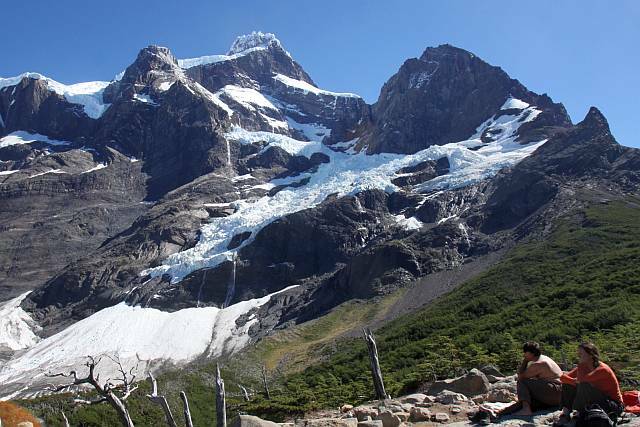 A very helpful visitor information centre/park ranger station provides excellent information for treks in the park, of which the favourites include 2 separate day treks to the Laguna Torre viewpoint and Laguna de los Tres viewpoint. 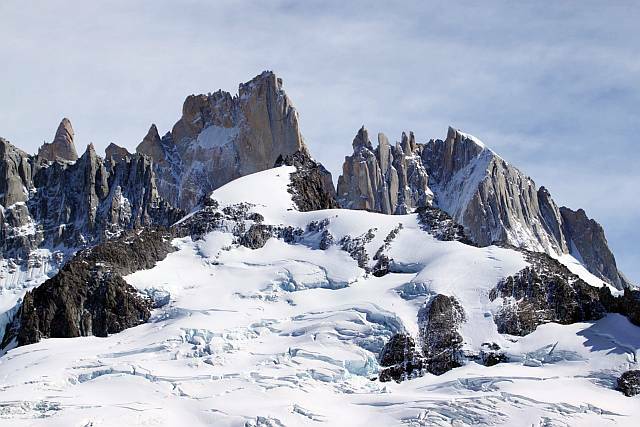 Here, the famous beautiful peak of Mt Fitz Roy can be easily seen. But words do little justice to the place, so here's a photo gallery to whet your appetite. But even then, I confess that my pictures also does not convey the feelings you'll get when you are there! 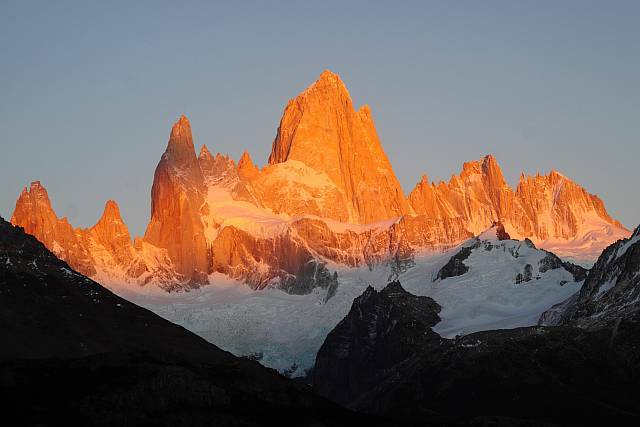 Alpenglow on Mt Fitz Roy!! 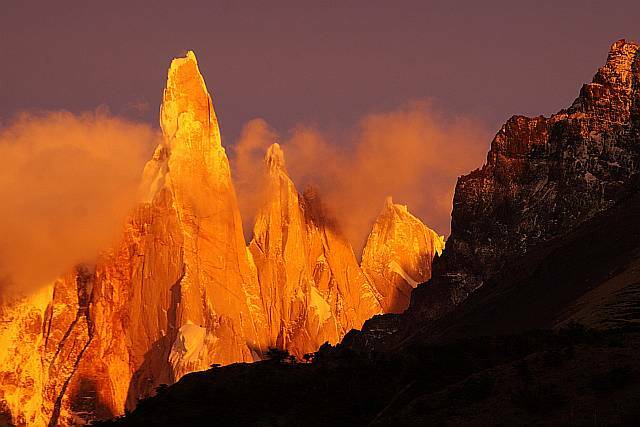 Alpenglow on the elusive Cerro Torre!! Taquile Island on the Peruvian side of Lake Titicaca is a gem of a destination. 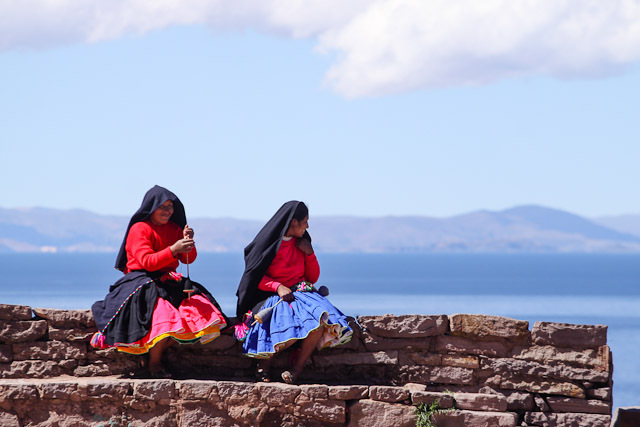 Lake Titicaca, a highland lake in the Andes, covers both Peru and Bolivia. There are several islands on the lake worth a visit, and Taquile is certainly one of them. 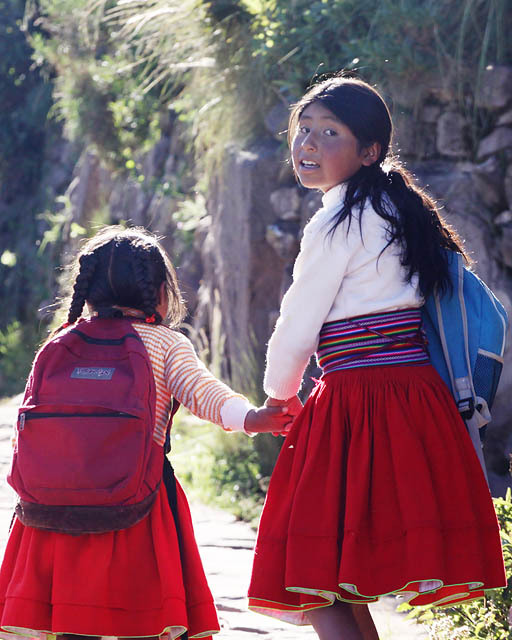 The islanders, known as Taquileños, have developed a community-based tourism model, offering services such as homestays, restaurants, guides etc. This protected them from losing their heritage and livelihood from mass-tourism from non-islanders. 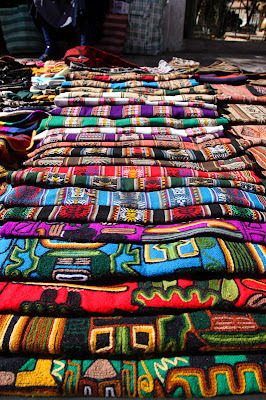 They are well-known for their handwoven textiles, and are supposedly of the highest quality in Peru. 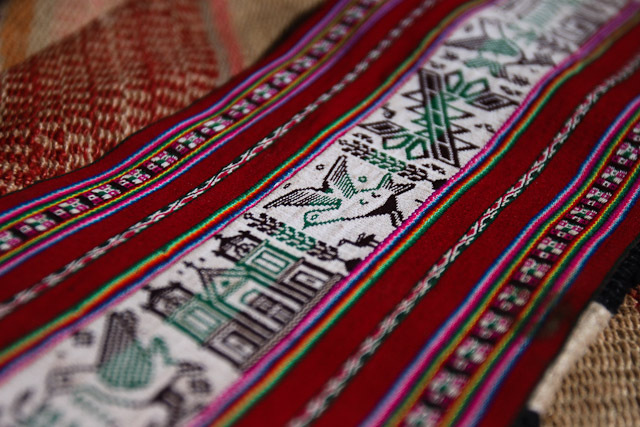 A designated shop in the "village square" of sorts sells the islander's textile products, ranging from mantas, to handicrafts to clothings. The islanders are friendly, and there are no hassling to buy stuff etc and almost all of them are still dressed in a semi traditional way. And it's so interesting seeing the men knitting away continuously while walking/talking/resting etc! But what I like is that the children on the island do not swarm to you asking for money or anything. They go about their normal life, but children being children, they are still curious about tourists, and they would often glance in our direction for a glimpse of three Asian faces (I was with two other friends). 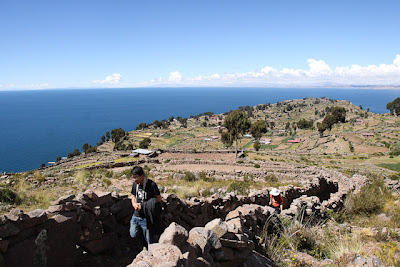 The island also has some Inca ruins, but unfortunately are situated at the top of the island, which stands at above 4000m! So climbing up may be a little breathless, but the views are great, and so coming up during sunrise/sunset would be awesome. Overnight stay would be recommended, and as most tourists seemed to be day-trippers, you would likely get the place mostly to yourself! From Puno, ferries ply the various islands on the lake daily. 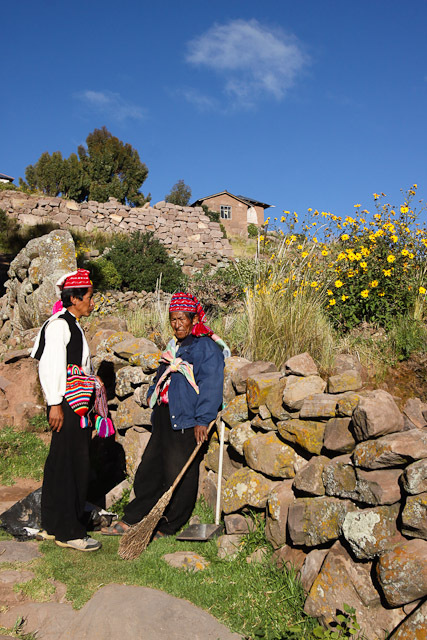 Note that the journey from Puno to Taquile takes 3-4 hours. Once you land on the island, there will be locals offering homestays, and while the accommodation is pretty basic, the experience would be certainly memorable! 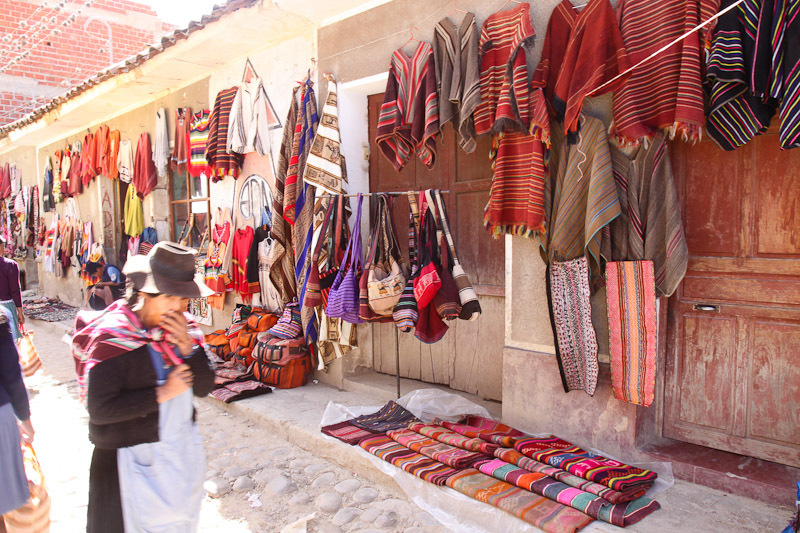 Local markets are always an attraction for me in my travels, and in South America, the local Andean markets make wonderful photographic (and shopping) excursions since they're typically very lively and colourful. 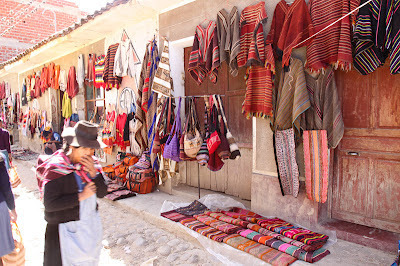 Just 1-2 hrs away by bus from Sucre Bolivia, Tarabuco hosts such a market. Every Sunday, tourists and locals alike would converge into this small Bolivian town. 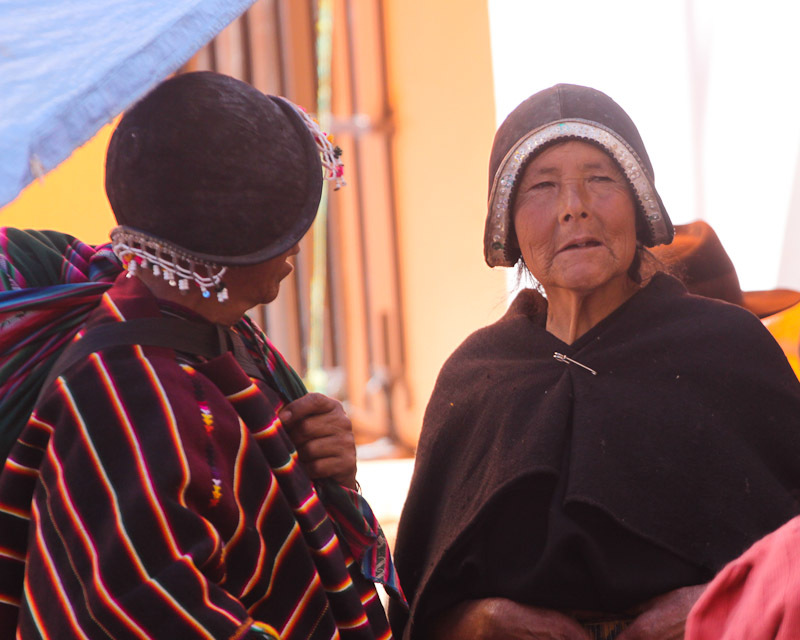 Aside from the permanent shops in town, locals from nearby villages also arrive to set up stalls. 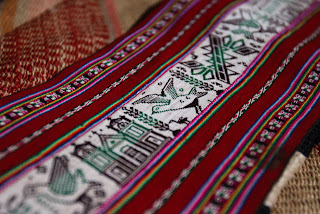 The town is home to the Yampara culture, one of the ethnic groups around the region, and so designs belonging to the Yampara on textiles, handicrafts etc can be found aplenty in the market. 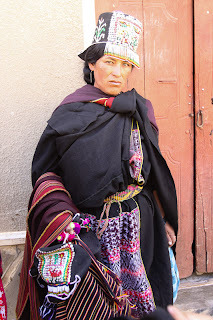 In fact, Yampara attire, and especially their headgear, are apparent everywhere, being worn and sold by the locals. 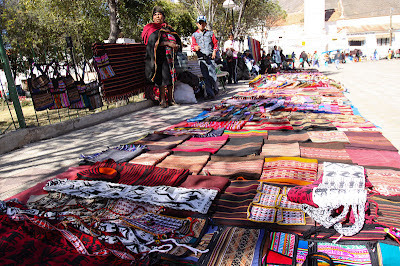 While textiles, weavings and handicrafts dominate the market square, more mundane stuff can be found as you move further away from the square - food produce, safety pins, kettles etc, the daily livelihood of the community. 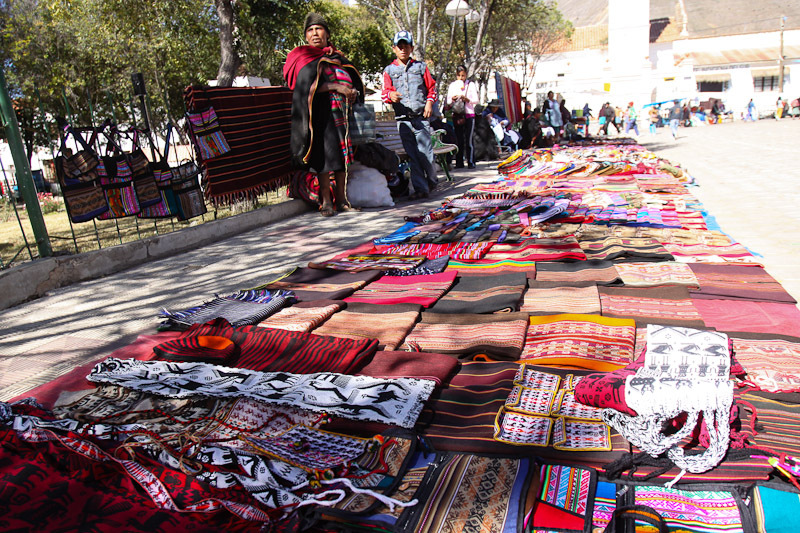 Besides getting photos of indigenous people in their traditional attire, the Sunday market is a great place to get your souvenirs as well! There is relatively little harassing on tourists, and if you're looking to get ponchos or similar textiles, the designs in the market are beautiful! 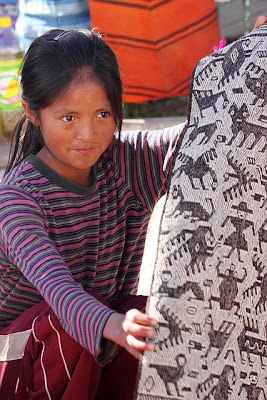 And perhaps you may even get an authentic handwoven one from the village!